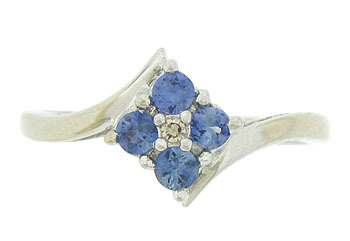 A quartet of cornflower blue tanzanite surround a single brilliant diamond on the face of this elegant estate ring. 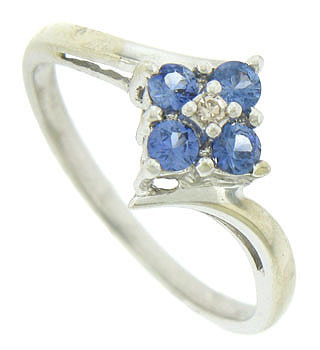 The stones are set in a floral pattern, while bold mountings serve as additional decoration. 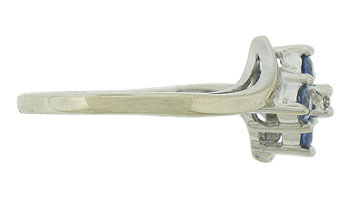 The edges of the band stretch up on either side in a twisting motion. 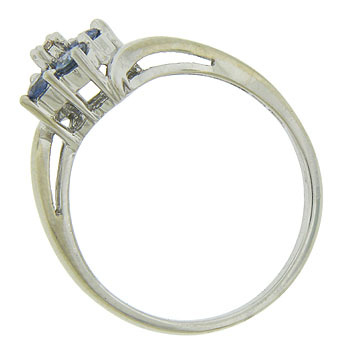 The romantic ring is fashioned of 10K white gold and measures 10.01 mm in width. Circa: 1950. Size 7 1/4. We can re-size.